If Heineken made photographers …. One of my latest projects was to set up shoot for the forthcoming Rugby Heineken Cup. 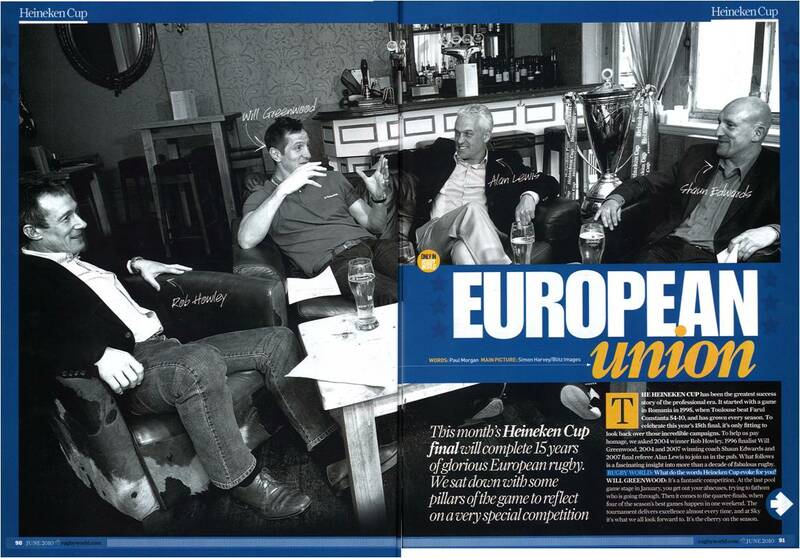 I had the pleasure of being the ‘fly on the wall’ whilst Will Greenwood, Rob Howley, Alan Lewis and Shaun Edwards all cast their views on the looming final. I had approx an hour i which to set the scene, light and shoot all the guys whilst they waxed lyrical about their beloved sport. 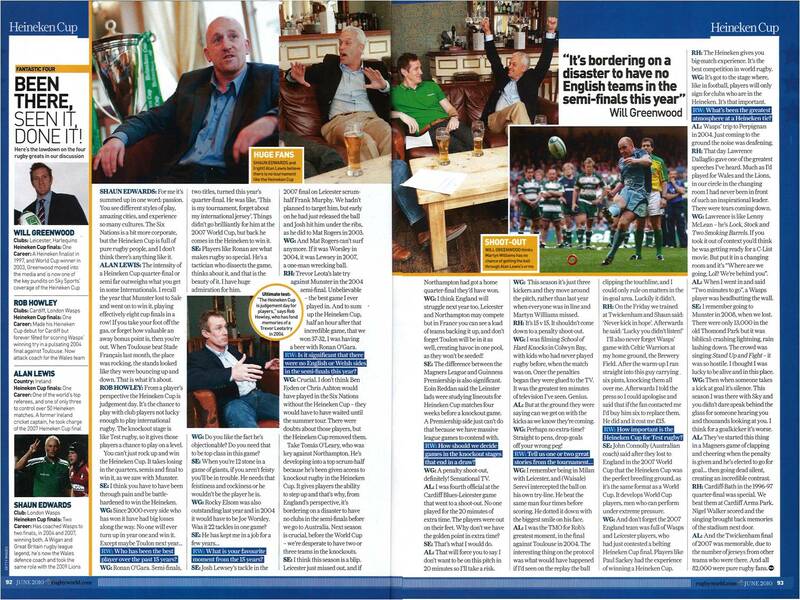 Published in RUGBY WORLD magazine and out now.